SEWASP is a volunteer ski and snowboard teaching organization for people with disabilities. It is a community effort of our participants, dedicated volunteers, generous sponsors, and the University of Wisconsin - Milwaukee (UWM). 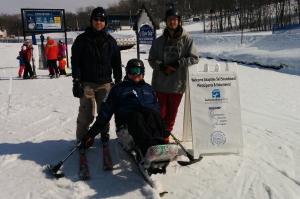 SEWASP is a chapter of Disabled Sports USA (DSUSA), a member of Community Health Charities of Wisconsin (CHCWI), and proud member club of the Chicago Metropolitan Ski Council (CMSC).